The former chairman of the Truth and Reconciliation Commission says tearing down tributes that are considered offensive to Indigenous Peoples would be "counterproductive" because it smacks of anger, not harmony. 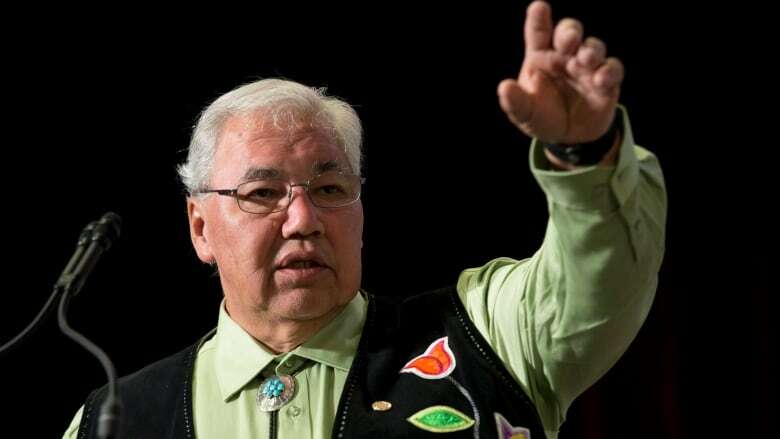 Sen. Murray Sinclair says the debate over whether to remove Sir John A. Macdonald's name from Ontario schools is time that would be better spent discussing the need to honour and elevate Indigenous heroes. Sinclair's remarks come after an Ontario teachers union passed a controversial motion calling for the rechristening of schools named after Canada's first prime minister, accusing Macdonald of advocating Indigenous genocide. In an interview with The Canadian Press, Sinclair calls that approach a recipe for fighting and rancour. Prime Minister Justin Trudeau says there are no plans to remove Macdonald's name from buildings or sites that are in the purview of the federal government. In June, Trudeau decided to remove the name of Hector-Louis Langevin, a father of Confederation and architect of the residential school system, from the Ottawa building that houses the Prime Minister's Office.